It was that time of the year again, with long evenings it meant time for repeats on Mount Eden. To keep things interesting each time was a little different. 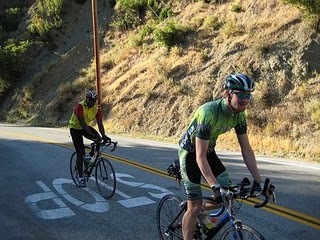 A normal climb, a seated climb, a standing climb, a single leg climb (yes, I did that too). The fun really began when Coach Dan set a challenge. He took a 3 minute head start on running up the hill. At the appointed time Brian and I were to race him to the top. So there were two challenges, one beat Brian, two beat Dan. I was neck and neck with Brian until the second turn where went all out to pass him. I think that is where the 189bpm listed below comes in :-) Next up was catch Dan, around the three third turn I could see him just up ahead. It was close a run race as the road flattened out towards the top I managed to just pick-up enough speed to pass him.